As we stand at the foot of the cross, let us listen carefully to what Jesus is saying. His first words are “Father forgive them; for they do not know what they are doing.” Who is Jesus referring to when he says “them”? Is he referring to the religious/political leaders who rule through intimidation and fear? Or is he referring to most of his disciples who abandoned him or to the cruelty of the soldiers that enhance their deadly duties? Jesus never harmed anyone. He healed the sick and the blind. He gave hope to the marginalized. He showed people a new way to live their lives. Did you know that the Sanhedrin, which was the religious governing body, was not allowed to meet at night nor were they allowed to meet during the great feasts such as Passover? Both conditions they violated. Court was to be held within the Temple precincts. It was not. The passage of one night was required before the execution of the death penalty. It never happened. Since the court could not find two witnesses in agreement to testify against Jesus, the high priest does the forbidden and unthinkable by forcing Jesus to incriminate himself. He asked Jesus “Are you the Messiah?” Jesus responds, “I am”. The Sanhedrin then charged Jesus guilty of blasphemy and deserving of the death penalty. Jesus is cruelly mocked and beaten. He is taken before Pilate who washes his hands of the false religious leaders’ murderous intentions. Jesus is made to pick up his cross. The mindless crowd fail to stand up and challenge Jesus’ sentence. If they had, the Sanhedrin would have had to retry Jesus. The manipulated mob failed to come Jesus’ aid. I don’t believe Jesus from the cross is forgiving the authorities and the mindless mob who embody and hide behind a heretical religious position. That would be like forgiving unrepentant murderers and governments that commit genocide in the name of God. Instead Jesus turns the matter over to God and asks God to decide whether to forgive them. I am sure their crime will not be forgiven without true repentance. True repentance leads to a clean heart and a change in attitude and deeds. With God, there is no cheap grace. Forgiveness for sins committed is conditional on the perpetrator (1) naming the sin committed, (2) accepting the blame for it, (3) sincere repentance and remorse, and, (4) if possible restitution. Today as in Jesus’ time, do we seek the safety of known places? Jesus’ mother, some women followers and John did not. 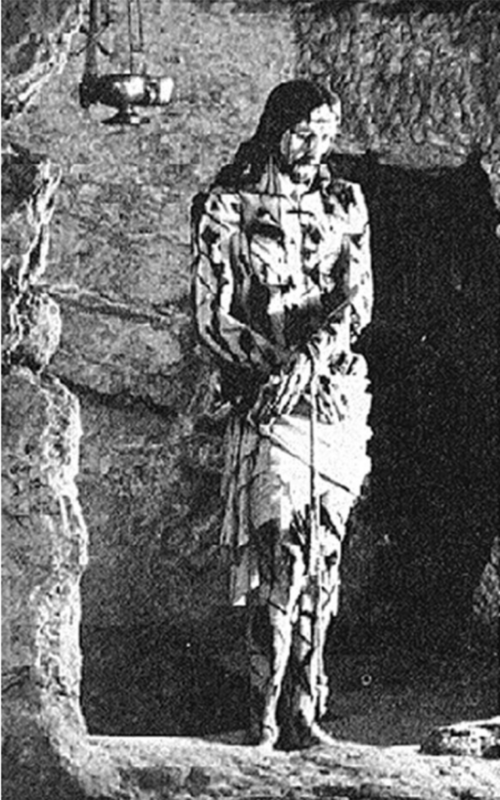 But they knew they could not change the course of events at that time so they silently stood vigil at the crucifixion. Will God forgive us if we fail to stand up to injustices and never repent? Where do we stand at the foot of the cross and what are the consequences? Jesus challenges us to embrace His way of life. Previous post: Theodicy— Why Does God Allow Evil to Exist?